Bughin, J (2018), “Why AI is not the end of jobs”, Sloan Management Review, 24 May. Bughin, J and E Hazan (2017), “The new spring of AI- a few early economics”, VoxEU.org, 21 August. 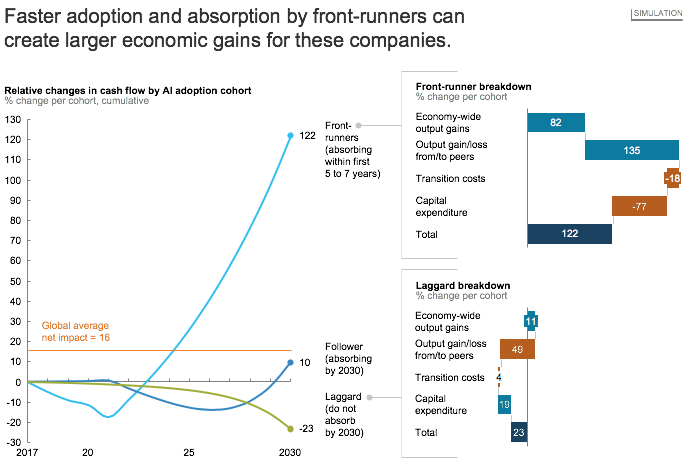 Bughin, J, J Seong, J Manyika, M Chui, and R Joshi (2018), Notes from the frontier: Modeling the impact of AI on the world economy, McKinsey Global Institute. Manyika, J, S Lund, M Chui, J Bughin, J Woetzel, P Batra, R Ko, and S Sanghvi (2017), Jobs lost, jobs gained: What the future of work will mean for jobs, skills, and wages, McKinsey Global Institute.